Consider this…thoughts become things. Change your thoughts, and you change those ‘things’ for the better. Is stress something you deal with on the regular? Do you know you need to start eating differently, but the thought of changing your diet gives you anxiety? Are you frustrated with countless failed resolutions? Do you feel like you’re the only person out there dealing with zero willpower? Are you dealing with chronic health issues and know that mindset is a huge piece of healing, but don’t know where to start? Do you believe and have convinced yourself that you’ll always have anxiety because your mom had it? We understand! If you’re ready for some serious change, join us! Reset your mindset, reset your attitude, reset your health in just 5 days. To really change your life, you have to change your mind. How to ‘flip the switch’ in an instant, allowing you to immediately take control of your life. Reframe your mind around food choices- no more emotional eating! An understanding of how to effectively set goals that you CAN achieve. Quick, daily tasks to retrain your mind, no matter what your struggles are. A supportive community of women all wanting to better their health and selves. 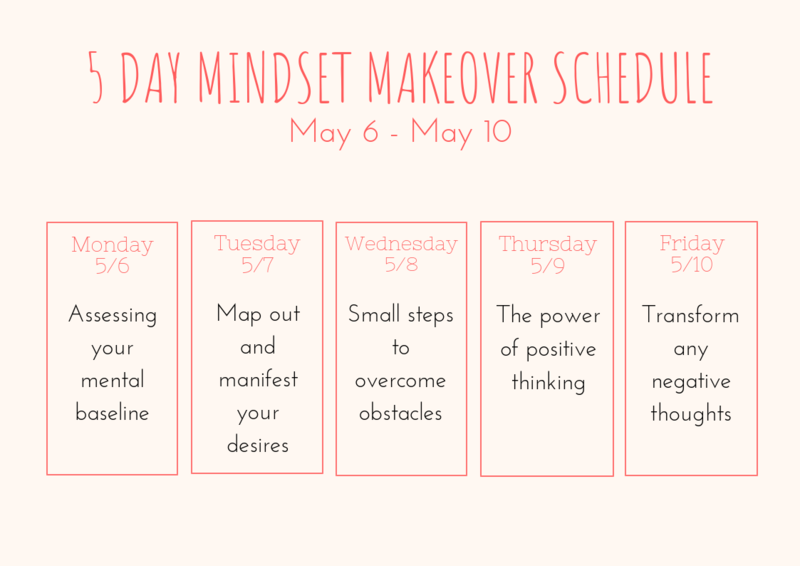 The 5 Day Mindset Makeover challenge starts on May 6th and ends on May 10th. A handy PDF with daily, bite-sized steps to keep you organized and on track to accomplish your goals. Daily support in the Facebook group and via email from Kira and Denise in order to learn how to transform your mindset and stay accountable. We’ll be offering a FULL SCHOLARSHIP to our brand spankin’ new RESET YOUR MINDSET IN 30 DAYS program to ONE LUCKY registered 5 Day Mindset Makeover participant who will be chosen on Monday May 13 LIVE ( time will be announced via email).